Aside from the obvious aesthetic appeal, a clean roof is vital to providing a secure and protective environment. It is the cover of your home and while you may not climb the ladder and inspect it very often, it still needs regular maintenance to ensure it stays in premium condition and has a long life.Don’t forget, it is much easier to clean a roof now, than have to bear the cost of a full roof replacement down the track. Roofs get dirty for many reasons. The obvious factors are things like dirt, dust and general pollutants that are circulating in the air. But you may be surprised to learn that another big contributor can be the fallout from jumbo jets. Just ask anyone who lives under a flight path how much more often they have to wash their cars! Roofs are also the perfect breeding ground for mould and lichen which, once they take hold, can spread rapidly along, across and even in between tiles. This is a problem for both concrete and terracotta tiles where the rough surface is far more conducive for growth than a standard metal roof. So, as you can see, cleaning a roof is a messy job and, yes, someone has to do it. That’s why it is best to call in the experts from Rite Price roofing. Concrete and terracotta tiles have many pits and little craters on their surface where fungus spores get a foothold, and then grow. Metal roofs have their problems too. Mould can creep in and gain a hold in particularly shaded sections of a metal roof where they can thrive in the damp and cool conditions. Just like in your bathroom or other wet areas around your home, mould can be tricky to remove permanently. 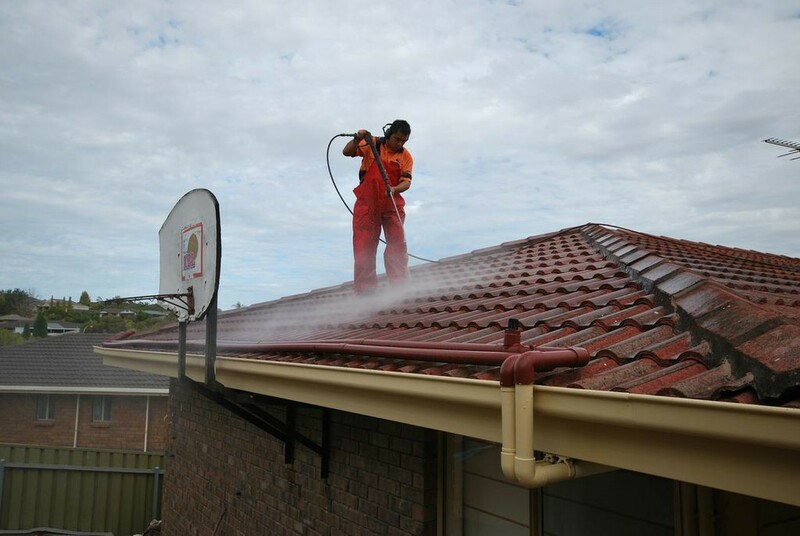 That’s where the experience of Rite Price roofing, a proud South Australian company with some 25 years experience, can help you with a cleaning process that is efficient, effective and most of all affordable. At Rite Price roofing, we use a simple but highly efficient and effective technique which relies on a high pressure blast of water. This force delivers a quick result and you will notice that previously shabby tiles regain their original lustre while metal roofs that may have lost their sheen suddenly look sleek and new. For those hard to remove problem areas where mould or fungus has really taken a hold, we will also use a mould killing solution to the roof prior to the pressure clean. And the end result is amazing. Your roof will look brand new! Not only that but it will extend the lifespan of your roof, giving you years of trouble-free living and the added bonus of increasing the value of your home and its all-round street appeal. 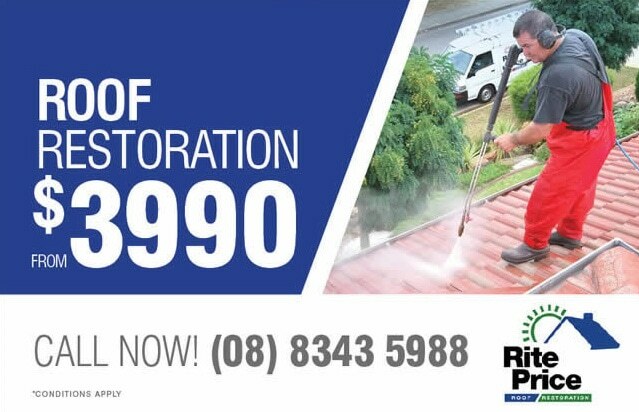 If you’re thinking about cleaning your roof, call the Rite Price roofing team today and book a quote and an appointment. We guarantee you won’t be disappointed.